Customers love its novelty! 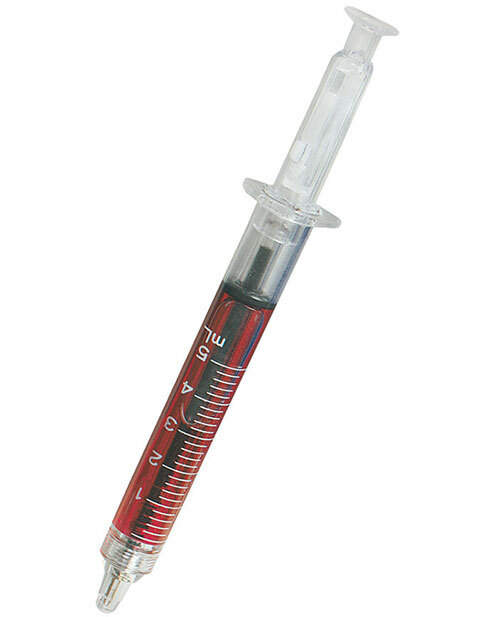 The Liquid Syringe Pen from Prestige Medical features red liquid with black ink. It is a fun syringe pen that comes in a pre-pack of 60 pens in counter display.